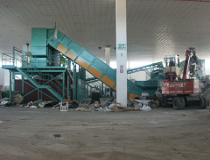 We offer complete solutions for waste sorting plants, with varying degrees of automation: from purely manual sorting to automatic selection of paper/cardboard, plastics, municipal and industrial waste. 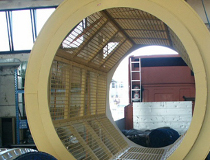 The ballistic separator separates waste according to different physical and dimensional characteristics of the materials: a light and flat, a heavy and “rolling” and a fine fraction. 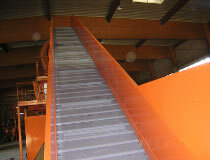 The trommel screen is used in the size separation of waste, also very humid. Allows up to four output fractions. A recurrent application is in the separation of the organic fraction. In each section of the plant the appropriate conveyor. 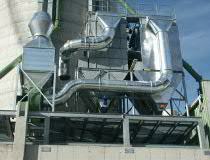 Dust extraction on premises where waste is treated, has become a well-established practice, to protect the health of workers as well as simply meet production needs. PARINI offers its Customers the benefits of over twenty years’ experience in the field starting from the preliminary study of the waste sorting plant, up to the final design, construction and installation. Our ongoing relationships with our customers has given us, over the years, a steady improvement in the construction of machines, increasing performance and reliability. Belt conveyors, chain conveyors and storage conveyors: our solutions for the optimal transport of each type of waste. Dust extraction for production areas is established practice to protect the health of workers but also for production needs related to system efficiency. Since 1985, following increased attention to environmental issues and environmental protection, especially in Northern European countries, the Company began to specialise in the production of machines for ecology, with particular reference to machines for the treatment and sorting of waste.